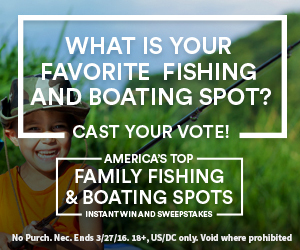 If you’re looking for the best places to fish in the USA, then you’ve come to the right place. In this article, we shall highlight several of the top fishing locations in the United States, so you will soon know where to visit if you’re looking for an incredible fishing vacation that you will remember for a lifetime. Keeping this in mind, let’s explore further. When you’re looking for blue skies, incredible canyonscapes, and fantastic fishing all year round, then you can’t go wrong by visiting Glenwood Spring. The place is renowned for its fishing action in virtually any season, even in winter, and the naturally sunny weather makes your trip a real highlight of the year. In particular, you’ll want to watch out for the trout, because rivers are full of them. 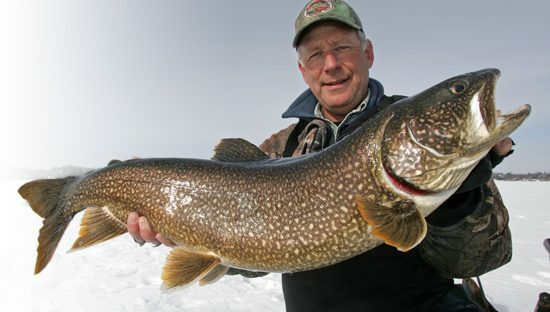 Lake Michigan is home to some of the most incredible fish that the United States has to offer, and you’ll find plenty of salmon and steelhead in the area. Of course, the diverse collection of natural lakes are filled with trout, panfish, bass, and more – so you can fish this location in any season and you’ll be sure to have an incredible experience. What’s more, the area is an excellent place for many additional outdoor activities such as hunting, skiing, and hiking. For well over 300 years Nantucket has been famous for its fishing, and as the first colonial whaling port, it’s long been one of the best fishing locations to visit. If you’re a serious fisherman, then you’re going to be thrilled with some of the catches you are likely to find in this environment. It’s often best to visit sometime in the summer, but equally, the season between April and November are likely to be a profitable venture if you’re looking for a fishing experience of a lifetime. 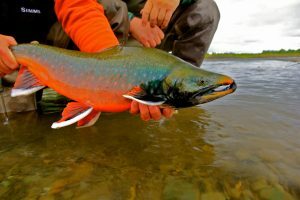 The Kenai River is arguably one of the best places to fish in the World, not just the US. Many species of fish like rainbow trout, dolly varden, silver salmon, sockeye salmon, and lake trout can be readily caught here. The river can be a little overwhelming for the novice, so hiring a local Kenai River fishing guide is highly recommended. If you make the trip up there, try and go during the rainbow trout or salmon runs and you are almost guaranteed lifetime memories. 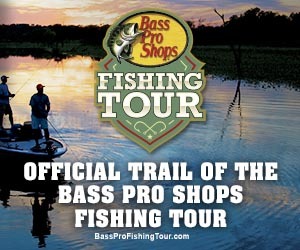 When it comes to catching bass, there’s no place quite like Guntersville, AL – and it’s even home to many professional bass tournaments, which just goes to show its popularity. Additionally, the climate is fairly mild, although the weather can get very hot in summer. So it’s a great place for a vacation in general, but especially if you are looking for a true fishing adventure. Overall, it’s easy to say that the United States has dozens of fantastic fishing locations – and this guide has only presented the tip of the iceberg in regards to great places you can fish if you’re willing to explore. Llano River Camp is a popular tourist destination, which offers a variety of exciting outdoor activities for couples, group or the entire family. Llano River is known as a jewel of the Texas Hill Country. You will enjoy a handful of activities while you also embrace a relaxing vibe. Here are the top activities you can do when you visit Llano River Camp. Be sure to take note! 1. 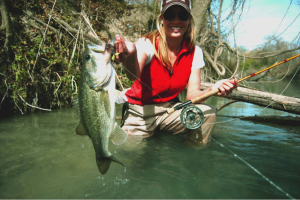 Fishing – Fishing is the most popular recreational activity you can do in Llano River. The place offers the perfect warm water that is suitable for fishing a variety of fish species. 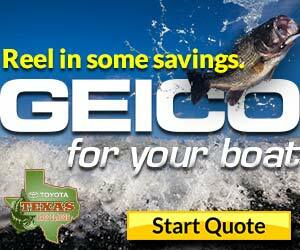 You can catch sunfish, Rio Grande Cichlids, Largemounth Bass and Guadalupe Bass. This spot is least spoiled by the development of the place so you can still enjoy this natural resource to the fullest. You can do fishing by canoe or raft or kayak where you can cover a wide area of water. There are a number of access points in Llano River where you can drop off. There are a number of business stations too where you can eat or stay. 2. Camping – at Llano River Camp, camping is also a very desirable activity. There are a lot of campsites to choose from (fifty six to be exact). These campsites are complete with water and electricity for your convenience. There is also a playground where kids can enjoy an afternoon playtime. You can enjoy a campfire with your buddies and experience a lot of adventures as you discover things by yourself! 3. Hiking – There is a two-mile hiking trail where you can hike along the river bottom. If you want to take it a little farther, take the eighteen-mile hike at Walter Buck State Wildlife Management Area. 4. 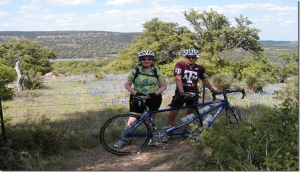 Mountain Biking – If you are a biker, then Llano offers a mountain biking trail of 2-miles along the South Llano State miles. This is certainly an enjoyable biking trip for you and your best buds! 5. Scenic Drives – Go for a road trip! There are various scenic drives perfect for picture taking and sightseeing. Check out U.S 377 southwest. It journeys along the South Llano River. 1. Check Your Options – Make sure to check your options. It is important that you compare the prices offered by Travel Agencies for you to get the best deals. You can get lower prices during low season. These destinations are also less crowded during the low season so consider booking during this time. 3. Prepare Your Outfits – Make sure you wear appropriate outfits during the trip. Prepare everything for everyone. 4. Save for Emergency – Make sure you prepared extra money for your trip. Emergencies can come unexpectedly hence you need be ready for whatever that may happen. These are just some of the noteworthy tips that will help you have a hassle-free and fun Llano River Vacation. 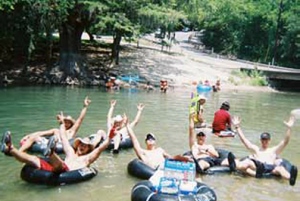 So, are you ready to visit Llano River? Gear up and be ready! Last and final day on (Texas version) of Lake X. Catching some bass and making some memories. Day 2..what, what! AP, Fluke, Flair, Rob, and I all set out on our first Texas bass fishing excursion. Bite wasn’t exactly LIT but we still pinned a few on the craw and wacky worm. Its always a great time fishing with these goons, stay tuned for the rest of the vlog series..I’m hoping to pop another video up tonight before it gets too late. As always…keep fishing, never stop! Fishing for snook and tarpon in the Arroyo Colorado. Landed a mini tarpon, a nice tarpon, and multiple snook. Lure is actually an h20 xpress rattlin T which is similar to a ratltrap. Well he came down and did some work..
Texas Fisherman TV host Scot Simmons joins Capt. Ralph Frazier in Baytown, TX for winter saltwater trout fishing on soft plastics. Ralph discusses the new Evinrude G2 ETEC. Fishing in Texas State Parks – NO Fishing License Needed explains rules for fishing in Texas State Parks from the shores of any lake within Texas State Park boundaries, or from a boat of lakes that are contained completely within a Texas State Park. Rules for fishing at Texas State Parks are if you are fishing in a Texas State Park you only need a license if you are on a public use lake. If the lake you are fishing on is contained within the boundaries of the Texas State Park no Fishing license is needed. In that case you may fish from the bank or fish from a boat. If the lake is public use you may fish from the shore that is within the Texas State Park. Rules for fishing in Texas State Parks also vary in certain parks on the minimum length the fish need to be in order to keep them. Check at the park office for exceptions to the state rules. Texas State Park fishing regulations can be found there. Remember fishing in Texas State Park Lakes if they are contained within the park means you may fish from the shore, a pier, or a boat without a fishing license. Fishing in Texas is fun, and fishing for free is even better. We hope you enjoyed this Texas State Park fishing video. If you found it helpful, informative, or entertaining, please like and subscribe to the Two Tired Teachers channel. Galveston Texas | Galveston Flounder fishing Gulp Fishing for flounder and finding them can be tricky, especially for beginners. So I crammed the most important aspects of flounder fishing in a 6 minute flounder fishing video. Im talking about conditions, spots, weather, fishing with gulp, where, and how to catch flounder in texas, florida, the whole gulf. Galveston tx fishing trip | 23 pound red fish! We are closed now. We can not answer your emails now.